It’s fun listening to Thor Conklin. He is full of energy, insights and passion for helping people achieve peak performance. What I noticed right away about Thor was his conviction about improving ourselves. He breaks down big ideas that may at first seem too far out reach to someone just getting started or in a place of confusion. 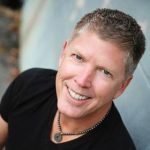 There is a reason, after all, why Thor is a successful business owner, author, executive coach and content-driven podcaster. Gritty, experienced and accessible, Thor brings to bear what holds people back from realizing their full potential. Through his latest venture, Peak Performance Nation, he teaches the tools, tips, tricks and strategies necessary to be a Peak Performer no matter what you do for a living. He qualifies the psychology of success in one word: Execution. His mantra is, “Nothing you’ve learned matters – unless you can EXECUTE!” We hear you, Thor! Game on! Thor Conklin found himself in a tricky situation when the economy collapsed in 2008. Until then, everything he’d done as an entrepreneur had gone well. “I had the Midas touch,” he laughs. There is no question that creating his Ultimate Success Map is one of Thor’s biggest wins. 16 years of intense study coupled with a fortuitous ride on the train inside the Atlanta airport led Thor Conklin to putting together a tool that anyone can use to take their life, business or career ball into the end zone. Catch the 2nd Half of my conversation with Thor Conklin here!